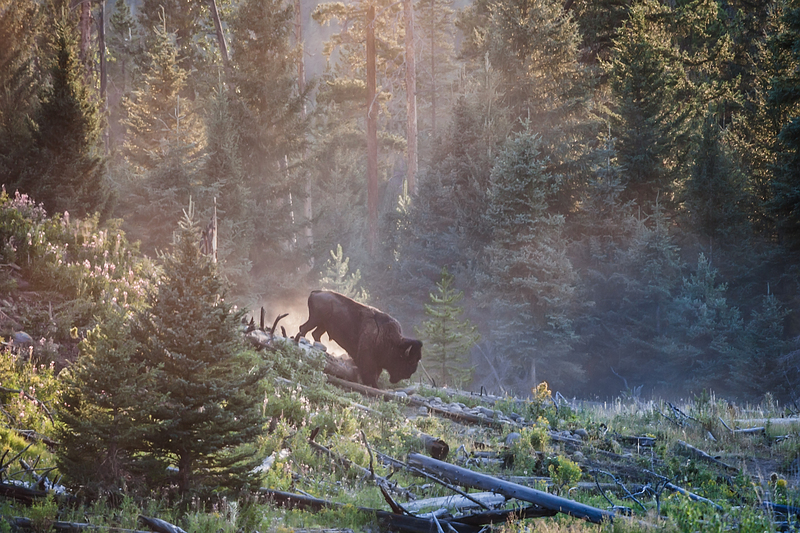 Spring is a special time at Yellowstone National Park. It is a time of rebirth as what has been dormant throughout winter becomes alive again. 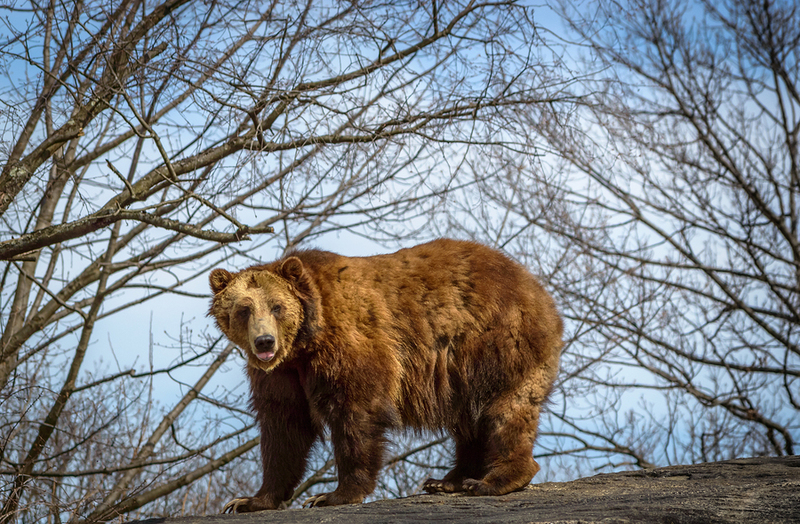 In March Grizzly bears will begin to emerge from their winter hibernation, an activity that is viewed as one of the first signs that spring has arrived. Temperatures are still cold in March, though, and it is not uncommon for the hills, valleys, and mountains to be still blanketed by snow. The Park’s higher elevation accounts for average daily temperatures that can range from the 30s to the 60s(F), with overnight lows well below freezing at this point in spring. But, as days grow longer and air and soil temperatures begin to warm, trees and bushes that lost their leaves over winter begin to grow new leaves. Flowers begin to bloom with their colors brushed across the hilly meadows. 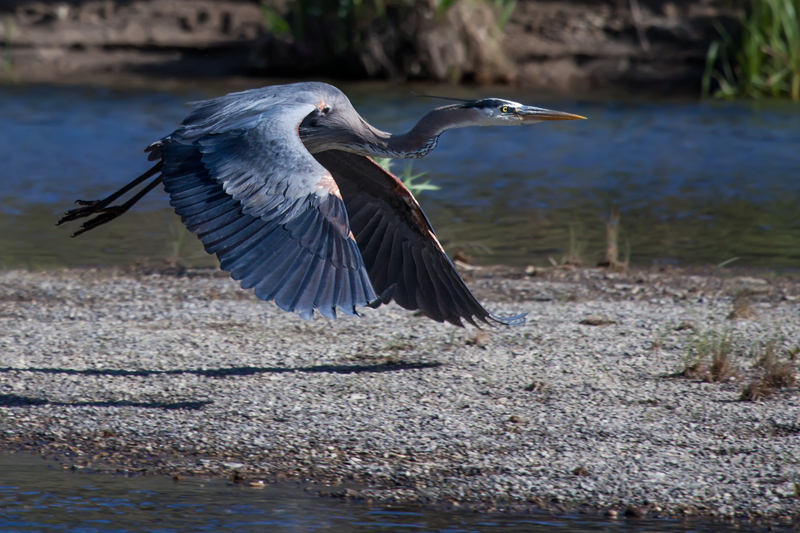 The Park’s two million plus acres are home to 67 species of mammal and roughly 300 species of bird, all of which enjoy spring’s new energy. Things get even more active as the calendar moves along towards May. Warming temperatures welcome the return of migrating robins, osprey, meadowlarks, and bluebirds as they come home from winter spent elsewhere. Black bear cubs, born in winter, are now, with their mothers always nearby, able to see the outside world for the first time. Grizzlies are happy to see the arrival of the spring beauties and glacier lilies, as the bulbs of these wildflowers are an anticipated food source for them. 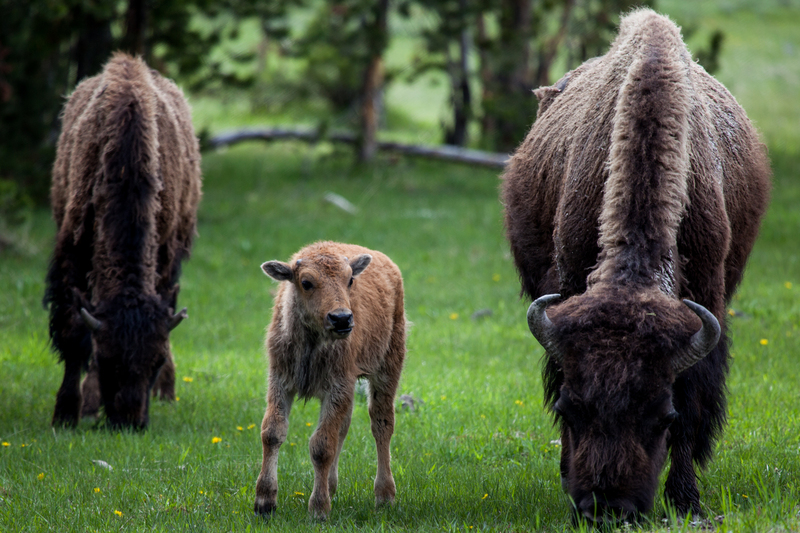 Bison, elk, pronghorn and moose families grow a bit larger as the calving season is well underway at this point. And it’s not just the wildlife and dramatic vistas covered in flowers! Remember, Yellowstone contains over 10,000 hydrothermal features that include hot springs, mud pots, travertine terraces and fumaroles. Over half of the world’s known geysers are here, including Old Faithful which is the most famous geyser in the world! 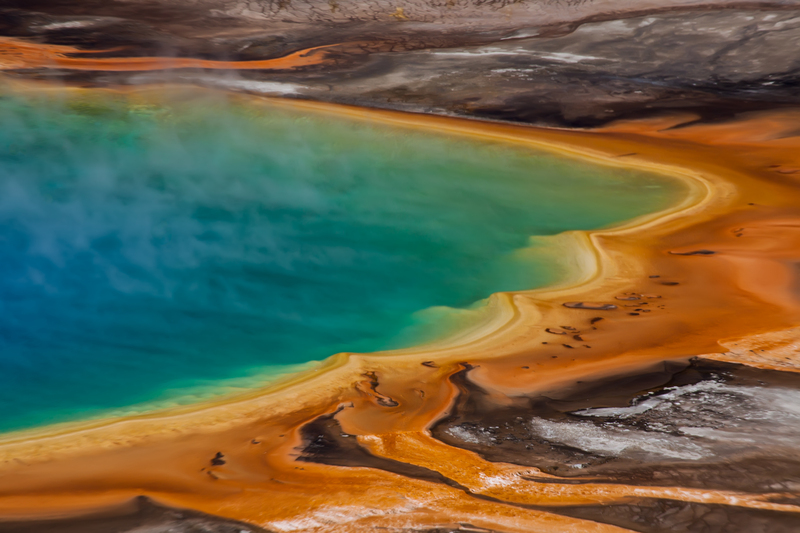 These features are all amazingly photogenic, as Grand Prismatic Spring (seen below) proves. 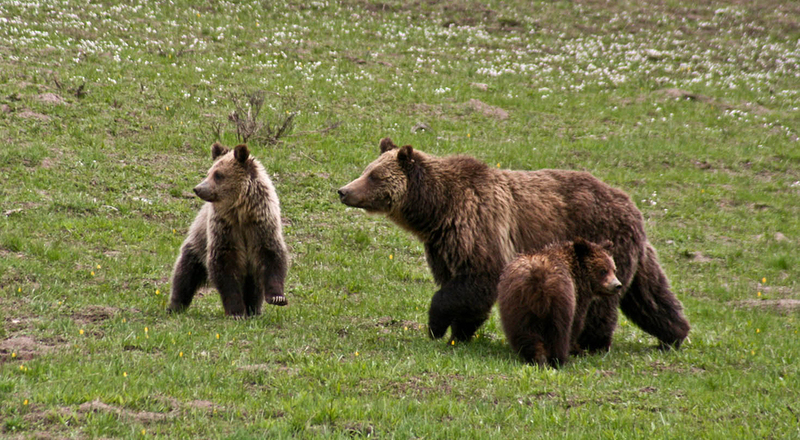 On this tour we’ll seek out those moveable objects like bears, bighorn, elk and a variety of birds. 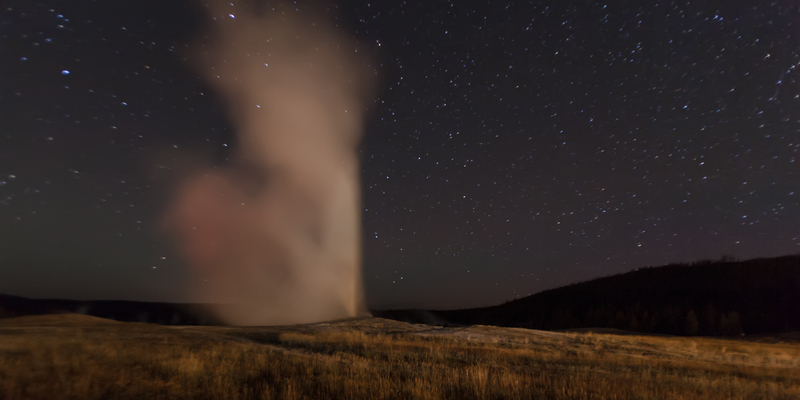 And will be certain to make images of those amazing geologic features that make Yellowstone famous, and also are kind enough to stand still for us. Colorful wildflowers with scenic backdrops, Grand Prismatic Spring, Lower Falls, Old Faithful and Mammoth Hot Springs will all be on our list. With all this talk about Yellowstone it shouldn’t go by the wayside that this trip travels to neighboring Grand Teton National Park as well. While Yellowstone is distinguished as America’s first National Park, Grand Teton just might be the most beautiful! Here jagged peaks of the Teton Range jet out from the plains below inspiring a sense of wonder and creativity in those who stand before them. 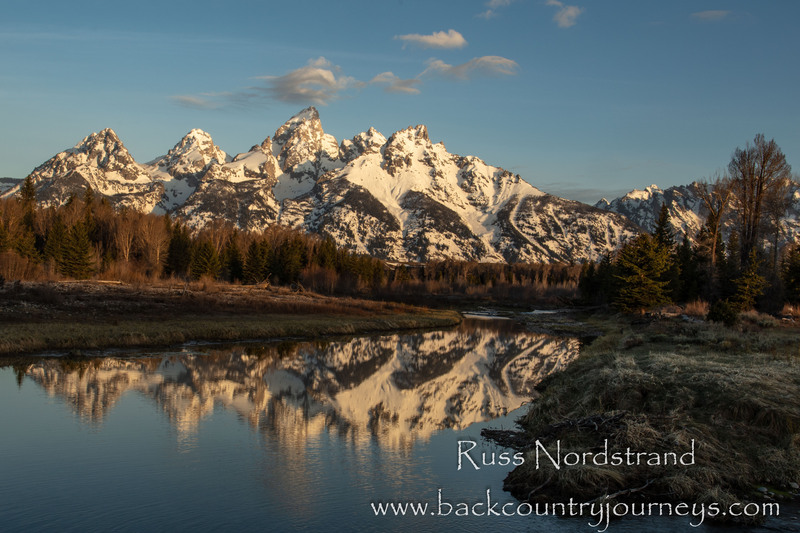 The valley floor is offers wonderful compositional arrangements like leading lines from the Snake River, compelling foregrounds such as Moulton’s barn, and of course the Teton Range as a backdrop to all of it. Iconic locations abound at Grand Teton, offering views for both sunrise and sunset, so that will be the focus of this portion of the trip. That being said, we won’t forget the wildlife, either. 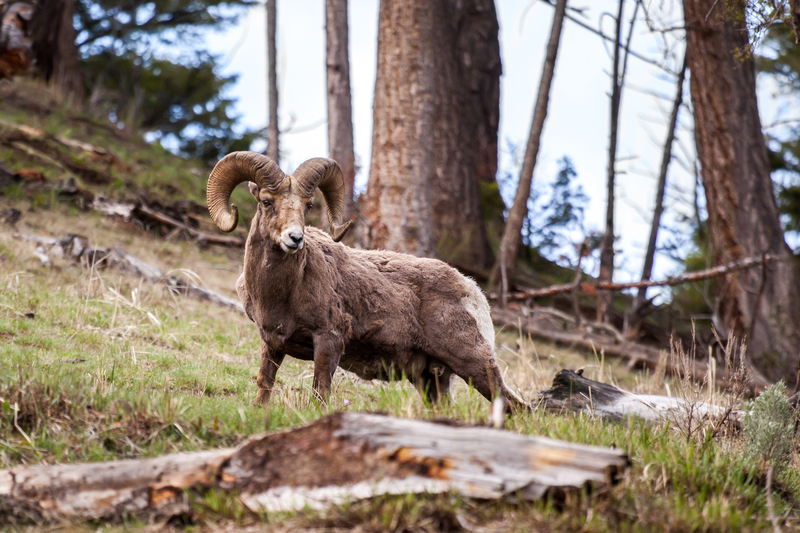 Sixty-one species of mammals live beneath the towering peaks of the Teton Range, and are found virtually everywhere, so we’ll keep our eyes peeled for moose, elk, mule deer, bison, and pronghorn, as these undulates are often spotted from roadsides. Grizzlies, black bears, wolves, and mountain lions live here also, but are of course more elusive and will require a bit more luck. 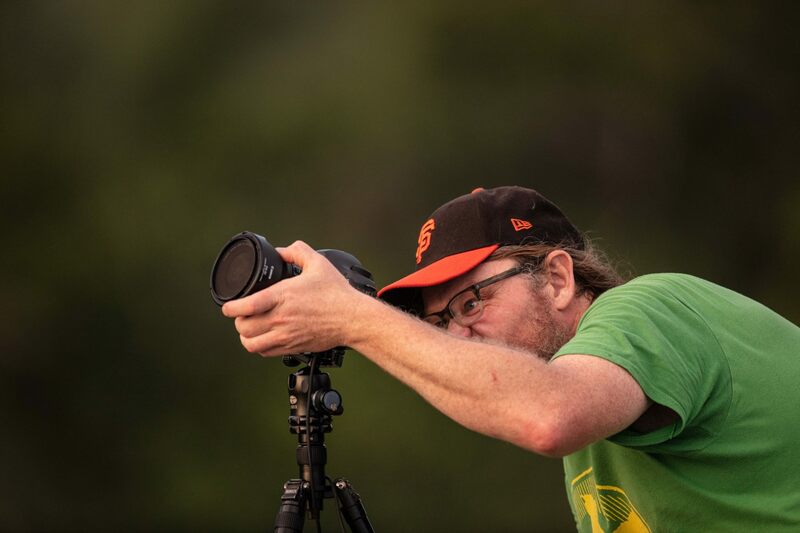 These two parks offer a natural wildness that is unrivaled and should not be missed, especially by wildlife and landscape photographers. 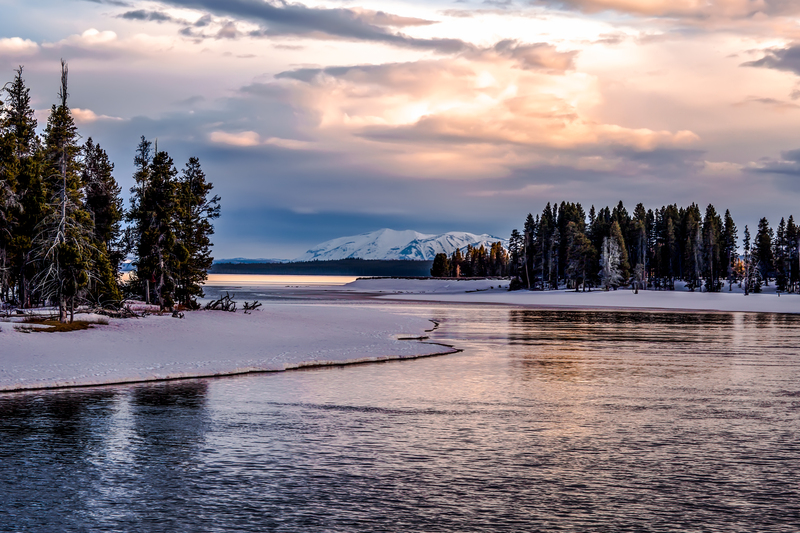 There is a particular treasure in the experience of being able to photograph completely wild and free roaming wildlife like elk, bear, moose and wolves, but also iconic locations, like the Tetons behind the Snake River and geologic features like Grand Prismatic Spring and Old Faithful. 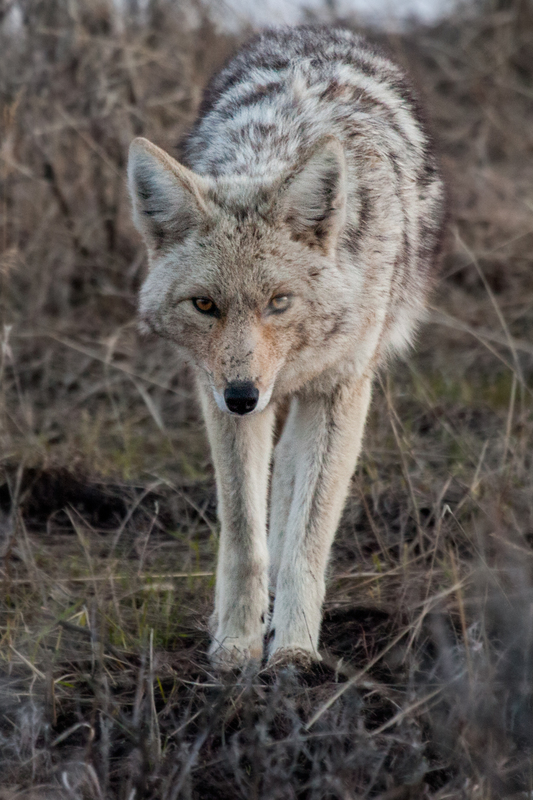 All of these things we’ll see on our Spring Comes to Yellowstone & Grand Teton tour, and we’d love for you to join us this year. Book today to be sure you’ll have a spot on the May 4th to 11th tour. Our May 12th to 19th tour is already full, so don’t delay!